Lubbock, Texas has a mild, semi-arid climate that boasts warm weather for most of the year. Unfortunately, it is also home to a number of irritating pests. The warmth of the environment in Lubbock makes it a perfect habitat for pests such as spiders, scorpions, ants, gnats, termites and earwigs. 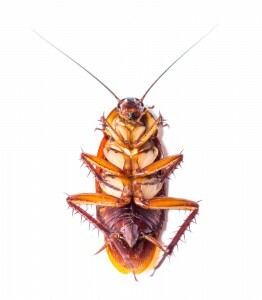 Regular pest control servicing can help you to keep your home and family safe. Go Green Pest Control provides quality inspection and removal of unwanted visitors, and helps prevent damage to your home’s structure etc. We also ensure we treat the perimeter of your property to discourage pests from returning and reinfesting. When you work with Go Green Pest Control to rid your home and property of pests, you can feel confident that you’re receiving effective treatment that you can really trust. Our entire mission is to stop the damage that rapidly multiplying pests in Lubbock can have on people and buildings, and to ease the stress that pest infestations can cause. That’s why we work with you to create a regular treatment schedule that fits your busy life. These treatments maintain the pest barrier your technician will create during his first visit to your property, keeping pests at bay. From first inspection to follow up care, our skilled technicians will have all your pest-removal needs completely taken care of – so you don’t have to worry. For more information regarding our green pest services in Lubbock, Texas, or to schedule an initial service, please call our office at 505-404-1440 to speak with a Go Green Pest Control representative.